Jeff Fine, D.C., is a chiropractor located in Las Vegas, NV. Take the next step and contact Dr. Jeff Fine, D.C., for a consultation in Las Vegas, NV or to get more information. Wadja Honari, D.C., is a chiropractor located in Las Vegas, NV. Techniques: • Atlas Orthogonal • Sacro Occipital Technique • Logan Basic • Neuro Emotional Technique • Applied Kinesiology • Activator Methods Take the next step and contact Dr. Wadja Honari, D.C., for a consultation in Las Vegas, NV or to get more information. Kathrin A Theodor, D.C., is a chiropractor located in Las Vegas, NV. Techniques: • Activator Methods • Diversified Take the next step and contact Dr. Kathrin A Theodor, D.C., for a consultation in Las Vegas, NV or to get more information. 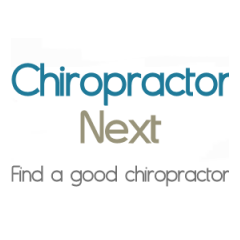 Rick Hallgren, D.C., is a chiropractor located in Las Vegas, NV. Techniques: • Activator Methods • Cox • Diversified • Flexion-Distraction • Logan Basic • Palmer Package • Hyperbaric Oxygen Therapy (HBOT) Take the next step and contact Dr. Rick Hallgren, D.C., for a consultation in Las Vegas, NV or to get more information. Norman Engel, D.C., is a chiropractor located in Las Vegas, NV. Take the next step and contact Dr. Norman Engel, D.C., for a consultation in Las Vegas, NV or to get more information. Peter S Catlett, D.C., is a chiropractor located in Las Vegas, NV. Take the next step and contact Dr. Peter S Catlett, D.C., for a consultation in Las Vegas, NV or to get more information. Marcia Tinberg, D.C., is a chiropractor located in Las Vegas, NV. Techniques: • Chiropractic Biophysics • Diversified • Thompson Take the next step and contact Dr. Marcia Tinberg, D.C., for a consultation in Las Vegas, NV or to get more information. R. Christopher Bunker, D.C., is a chiropractor located in Las Vegas, NV. Techniques: • Diversified • Activator Methods • Gonstead Take the next step and contact Dr. R. Christopher Bunker, D.C., for a consultation in Las Vegas, NV or to get more information. Kevin Bahoora, D.C., is a chiropractor located in Las Vegas, NV. Take the next step and contact Dr. Kevin Bahoora, D.C., for a consultation in Las Vegas, NV or to get more information. Matt Simpson, D.C., is a chiropractor located in Las Vegas, NV. Take the next step and contact Dr. Matt Simpson, D.C., for a consultation in Las Vegas, NV or to get more information. Rae F Kelly, D.C., is a chiropractor located in Las Vegas, NV. Techniques: • Diversified • Cox • Sacro Occipital Technique • Trigger Point Therapy Take the next step and contact Dr. Rae F Kelly, D.C., for a consultation in Las Vegas, NV or to get more information. Mark Rookhuyzen, D.C., is a chiropractor located in Las Vegas, NV. Techniques: • Diversified • Thompson • Sacro Occipital Technique Take the next step and contact Dr. Mark Rookhuyzen, D.C., for a consultation in Las Vegas, NV or to get more information. Angela Cherniawski, D.C., is a chiropractor located in Las Vegas, NV. Techniques: • Manual Adjusting • Trigger Point Therapy • Logan Basic • Gonstead • Activator Methods • Diversified Take the next step and contact Dr. Angela Cherniawski, D.C., for a consultation in Las Vegas, NV or to get more information. Bret G Katz, D.C., is a chiropractor located in Las Vegas, NV. Take the next step and contact Dr. Bret G Katz, D.C., for a consultation in Las Vegas, NV or to get more information. Obteen N Nassiri, D.C., is a chiropractor located in Las Vegas, NV. Take the next step and contact Dr. Obteen N Nassiri, D.C., for a consultation in Las Vegas, NV or to get more information. G Hayes Turney, D.C., is a chiropractor located in Las Vegas, NV. Techniques: • Palmer Package Take the next step and contact Dr. G Hayes Turney, D.C., for a consultation in Las Vegas, NV or to get more information. David Mc Elvany, D.C., is a chiropractor located in Las Vegas, NV. Take the next step and contact Dr. David Mc Elvany, D.C., for a consultation in Las Vegas, NV or to get more information. Armand Gilbo, D.C., is a chiropractor located in Las Vegas, NV. Techniques: • Palmer Package • Applied Kinesiology Take the next step and contact Dr. Armand Gilbo, D.C., for a consultation in Las Vegas, NV or to get more information. Robert E Braden, D.C., is a chiropractor located in Las Vegas, NV. Take the next step and contact Dr. Robert E Braden, D.C., for a consultation in Las Vegas, NV or to get more information. David W Muir, D.C., is a chiropractor located in Las Vegas, NV. Techniques: • Palmer Package • Diversified Take the next step and contact Dr. David W Muir, D.C., for a consultation in Las Vegas, NV or to get more information. Gregory U McKay, D.C., is a chiropractor located in Las Vegas, NV. Techniques: • Applied Kinesiology • Diversified • Palmer Package • Pettibon Take the next step and contact Dr. Gregory U McKay, D.C., for a consultation in Las Vegas, NV or to get more information. Paul S Green, D.C., is a chiropractor located in Las Vegas, NV. Techniques: • Cox • Diversified Take the next step and contact Dr. Paul S Green, D.C., for a consultation in Las Vegas, NV or to get more information. Cynthia Schmitt, D.C., is a chiropractor located in Las Vegas, NV. Take the next step and contact Dr. Cynthia Schmitt, D.C., for a consultation in Las Vegas, NV or to get more information. Peter-Mario Balle, D.C., is a chiropractor located in Las Vegas, NV. Take the next step and contact Dr. Peter-Mario Balle, D.C., for a consultation in Las Vegas, NV or to get more information. Daniel C Leavitt, D.C., is a chiropractor located in Las Vegas, NV. Techniques: • Palmer Package • Thompson • Bio-Energetic Synchronization Technique • Diversified • Gonstead • Applied Kinesiology Take the next step and contact Dr. Daniel C Leavitt, D.C., for a consultation in Las Vegas, NV or to get more information. Douglas Hermansen, D.C., is a chiropractor located in Las Vegas, NV. Take the next step and contact Dr. Douglas Hermansen, D.C., for a consultation in Las Vegas, NV or to get more information. Joan Rose, D.C., is a chiropractor located in Las Vegas, NV. Techniques: • Diversified • Total Body Modification • Activator Methods • Applied Kinesiology Take the next step and contact Dr. Joan Rose, D.C., for a consultation in Las Vegas, NV or to get more information. Lance Poe, D.C., is a chiropractor located in Las Vegas, NV. Take the next step and contact Dr. Lance Poe, D.C., for a consultation in Las Vegas, NV or to get more information. Delmar J Walker, D.C., is a chiropractor located in Las Vegas, NV. Techniques: • Diversified • Applied Kinesiology Take the next step and contact Dr. Delmar J Walker, D.C., for a consultation in Las Vegas, NV or to get more information. Vernon Hargrave, D.C., is a chiropractor located in Las Vegas, NV. Take the next step and contact Dr. Vernon Hargrave, D.C., for a consultation in Las Vegas, NV or to get more information. Bradley Hopper, D.C., is a chiropractor located in Las Vegas, NV. Techniques: • Activator Methods • Diversified • Flexion-Distraction • Thompson Take the next step and contact Dr. Bradley Hopper, D.C., for a consultation in Las Vegas, NV or to get more information. Randall W Robirds, D.C., is a chiropractor located in Las Vegas, NV. Techniques: • Total Body Modification • Neuro Emotional Technique • Applied Kinesiology • Nimmo • Vector Point Therapy Take the next step and contact Dr. Randall W Robirds, D.C., for a consultation in Las Vegas, NV or to get more information. Glaee G Valencia-Lopez, D.C., is a chiropractor located in Las Vegas, NV. Techniques: • Diversified • Activator Methods Take the next step and contact Dr. Glaee G Valencia-Lopez, D.C., for a consultation in Las Vegas, NV or to get more information. Katrin Kaleta, D.C., is a chiropractor located in Las Vegas, NV. Techniques: • Diversified • Active Release Technique • Gonstead • Activator Methods • Flexion-Distraction • Pettibon Take the next step and contact Dr. Katrin Kaleta, D.C., for a consultation in Las Vegas, NV or to get more information. Eric Prall, D.C., is a chiropractor located in Las Vegas, NV. Take the next step and contact Dr. Eric Prall, D.C., for a consultation in Las Vegas, NV or to get more information. Neel Khurana, D.C., is a chiropractor located in Las Vegas, NV. Take the next step and contact Dr. Neel Khurana, D.C., for a consultation in Las Vegas, NV or to get more information. Kevin P Colan, D.C., is a chiropractor located in Las Vegas, NV. Techniques: • Palmer Package Take the next step and contact Dr. Kevin P Colan, D.C., for a consultation in Las Vegas, NV or to get more information. Michael S Kelsey, D.C., is a chiropractor located in Las Vegas, NV. Techniques: • Gonstead Take the next step and contact Dr. Michael S Kelsey, D.C., for a consultation in Las Vegas, NV or to get more information. Ian K Yamane, D.C., is a chiropractor located in Las Vegas, NV. Take the next step and contact Dr. Ian K Yamane, D.C., for a consultation in Las Vegas, NV or to get more information. Michael Handelman, D.C., is a chiropractor located in Las Vegas, NV. Take the next step and contact Dr. Michael Handelman, D.C., for a consultation in Las Vegas, NV or to get more information. Terry Akers, D.C., is a chiropractor located in Las Vegas, NV. Take the next step and contact Dr. Terry Akers, D.C., for a consultation in Las Vegas, NV or to get more information. Andrew J Mitchell DC, D.C.
Andrew J Mitchell DC, D.C., is a chiropractor located in Las Vegas, NV. Techniques: • Diversified Take the next step and contact Dr. Andrew J Mitchell DC, D.C., for a consultation in Las Vegas, NV or to get more information. Steven Peck, D.C., is a chiropractor located in Las Vegas, NV. Techniques: • Diversified • Activator Methods • Sacro Occipital Technique • Thompson • Applied Kinesiology Take the next step and contact Dr. Steven Peck, D.C., for a consultation in Las Vegas, NV or to get more information.